Green Tea and Bamboo shampoo. A clean fresh scent, simply create a lather and use as per a liquid shampoo. Dr.MAHAS KERATIN COLLAGEN PROTEINELLE ™. We do not have any agents either in UK or outside UK. HAIR MASK is a Keratin based protein that has a magnificent result. Our product can be compared withhair repair or lamination of hair done in a beauty salon. THIS IS A SOLID SHAMPOO BAR ESPECIALLY FORMULATE TO GENTLY CLEANSE YOUR FACE AND BEARD. 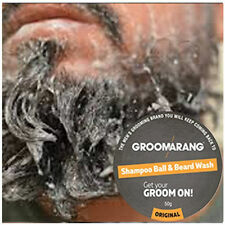 JUST USE LIKE A SOAP AND LATHER UP BETWEN YOUR BEARD AND RINSE THROUGHLY (BEST DONE IN THE SHOWER). CAN ALSO BE USED ON YOUR HAIR AND BODY. Dandruff: Buildup of shedding dead skin. Symptoms typically include itching, flaking, and dryness of the scalp. Clear scalp buildup with salicylic acid. Soothe itching and flaking with coal tar. Maintain results with zinc pyrithione. This nourishing shampoo bar is made withcastor oil to create a deeply conditioning, creamy lather that cleans and cares for your locks. And it loves to travel. And nothing else. Lather up the soap with warm water, and massage into hair, then rinse. 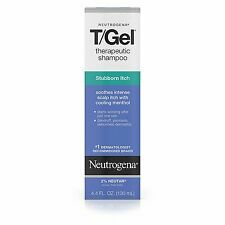 DHS Tar Gel Shampoo Scented 8 oz. 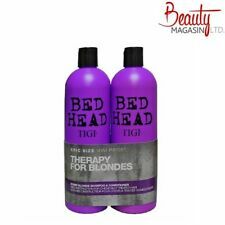 2 x 250ml T/Gel Therapeutic Shampoo. 2 x 250ml sealed bottles. Treats your scalp, cares for your hair. Seborrhoeic Dermatitis (dry, itching scalp). Joanna Ultra Colour System Shampoo is designed for red, chestnut or auburn hair. Do you dream of a red, ginger shine, or a fiery gleam in your hair?. Its formula is enhanced with carefully selected colourants, making your hair shine and giving it a cool, dreamy shade. Growthick Shampoo is a special blend of natural Thickeners that expand the hair shaft to produce fave, healthy and thick hair Growthick. How does Groganics worK?. Wet Hair thoroughly. Apply a generous amount of Growhick hair fattening shampoo and massage into scalp. Australian Body Care. Strengthens hair strands. Cleans and nourishes hair from follicle through entire shaft. Stimulates scalp to encourage hair growth. Wooden toys. Construction Toys. Character Toys. Act now toCOMBAT hair lossFAST! ‘I’ve tried a few products recently but nothing as effective as this! I couldn’t believe it, it was just a matter of weeks before I started noticing little hairs sprouting back to life! Flacon neuf de 40 ml - 1.35 FL. Format voyage (flacon en plastique). More Natural Lipogaine Big 5 Hair Rejuvenating Shampoo Apply shampoo again, gently massage into hair and scalp for 1 minute. Leave shampoo in for 2-4 minutes before rinsing. For external use only. Joico K-Pak 4 Step Repair,Clarifying-Cuticle-Reconstructor- Hydrator. The hair is left soft, shiny and strengthened. Cuticle is locked down and sealed. Any sign of swelling or raised cuticle is diminished. It also works to seal the hair cuticle and improve elasticity and hydration levels. Then go back to your favorite shampoo and youll find it working better than ever. 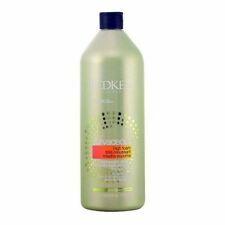 Instantly removes heavy, dulling residue cause by shampoos, conditioners and styling products. Cleans hair thoroughly, easily rinses clean. Neues AngebotNew Just For Men Control GX Grey Reducing Beard Wash 4 Fl. Oz. Gradually reduces grey facial hair color. Vast majority of the products will arrive anywhere between 4 to 7 weeks if not sooner. - Works on any hair color. resolve it right away. Ultra Swim Shampoo nourishes & conditions hair while it gently removes chlorine and chlorine odor. Ultra Swim Chlorine Removal Shampoo by Ultra Swim. Ultra Swim Chlorine Removal Shampoo. Ultra Swim. This cowash is different from any other because it contains a special blend of natural ingredients that work to promote healthy hair growth from the follicular level. Gentle enough for daily use. Safe for color-treated hair. (6,64€/100ml) Khadi Amla Shampoo 210ml, für jedes Haar! Inhalt: 210ml. Khadi Amla Shampoo. ohne das Haar zu beschweren.Daher ist es besonders zu empfehlen bei feinem Haar. - unterstützt das Haarwachstum und stärkt die Kopfhaut. empfindlichem Haar Haarbruch vor. New Nizoral Anti Dandruff Shampoo 7 Oz. Fight dandruff outbreaks with Nizoral A-D Anti Dandruff Shampoo. Vast majority of the products will arrive anywhere between 4 to 7 weeks if not sooner. Leave on 1 to 2 minutes. Wet hair, lather and rinse. Can be used daily. Oil-free formulas containing the Lipa-Sponge System comprised of lipacide, micro-sponges and lemon extract help to cleanse, absorb excess oil and purify the scalp. Schwarzkopf Supersoft. Supersoft Repair & Care Conditioner. Supersoft with intensive-care-protein. After: Supersoft with intensive-care-protein regenerates the structure. 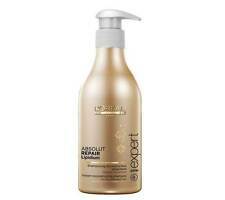 Repair & Care Shampoo 400ml Conditioner 250ml. 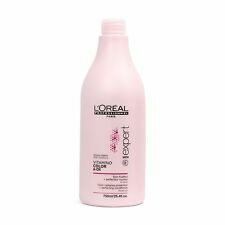 Resurrection Shampoo 750ml Resurrection Conditioner 750ml Lather-up, massage into scalp and rinse. 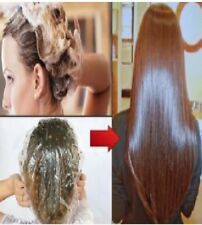 Massage thoroughly into hair and scalp before rinsing. Bring dead-end hair back to life once and for all. THIS IS A SOLID SHAMPOO BAR CONTAINING SEA KELP AND RHASSOUL CLAY, WHICH HAS BEEN INFUSED IN OLIVE OIL 2 WEEKS PRIOR TO THE MAKING. SEA KELP IS GREAT FOR STRENGTHENING AND THICKENING YOUR HAIR AND PROMOTE HAIR GROWTH. Revlon Nutri Colour 3 in 1 Cocktail BALL 270ml. Get ready to refresh any Revlon Professional shade or create fantasy colors in fun, creative styles using our latest color techniques. Nutri Color. REFRESH YOUR LOOK. Say goodbye to dry coloured hair! Apply to shampooed and damp towel-dried hair. Leave it on for 1 minute and then rinse thoroughly. Colour-treated hair feels intensely nourished. LA ROCHE POSAY KERIUM DS CREAM 40mlNEW IN BOX. - Piroctone Olamine and Zinc, for a complete anti-bacterial and sebum-regulating action. PRO-DESQUAMATING SOOTHING FACE CARE. Neutralizes patches of red and flaking skin. Nourishing shampoo. Massage into wet hair and scalp. Let sit for 3-5 minutes. Rinse thoroughly. A second application may be necessary. Although we strive for accuracy and excellence, on rare occasion, we make a mistake. Marke: Syoss. Sanft ins nasse Haar einmassieren und gründlich ausspülen. - langanhaltender Farbschutz ohne beschwerende Rückstände-. Für leuchtende Farben und strahlenden Glanz. Haartyp: Coloriertes Haar. 6.7 oz. L'Oreal Expert Volume Expand Light Nourishing Masque. Fine Hair. 200ml.